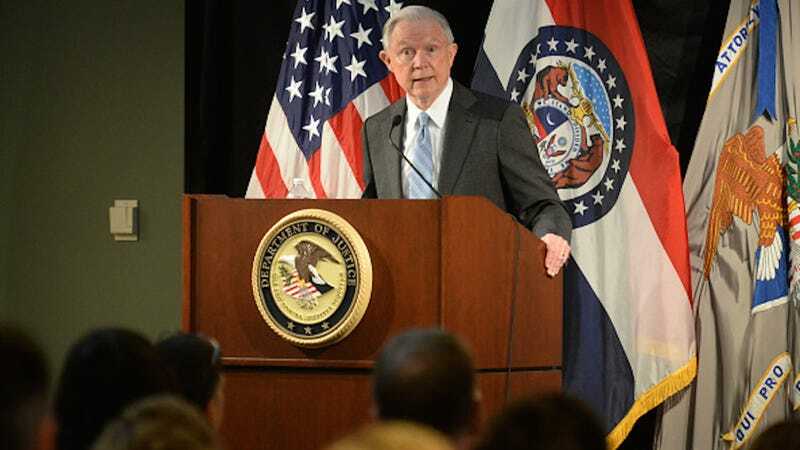 As The Hill reports, Sessions has already voiced his disapproval of “consent decrees,” which he argues “reduce morale” among law enforcement officers. In today’s editorial, he opens with alarmist rhetoric, proclaiming that police forces have been defanged and that, as a result, cities like Chicago and Baltimore—urban spaces significantly populated by low-income, minority communities—are rife with violence. He specifically bemoans the decrease in arrests, which he identifies as a cause of intensified violent crime. Sessions, like other conservatives, separates racist brutality from its native institution by referring to perpetrators as “bad actors.” It’s an inconvenient truth that these individuals were all sworn in as law enforcement officers. Catherine Pugh, the mayor of Baltimore, disagrees with Sessions’s condemnation of consent agreements. When he filed a memo ordering a “pause” on reforms, she objected, stating that it “may have the effect of eroding the trust we are working hard to establish.” Two years ago, in April 15, Baltimore resident Freddie Gray died at the hands of police. No one was convicted.